Available in 2 oz. or 4 oz. 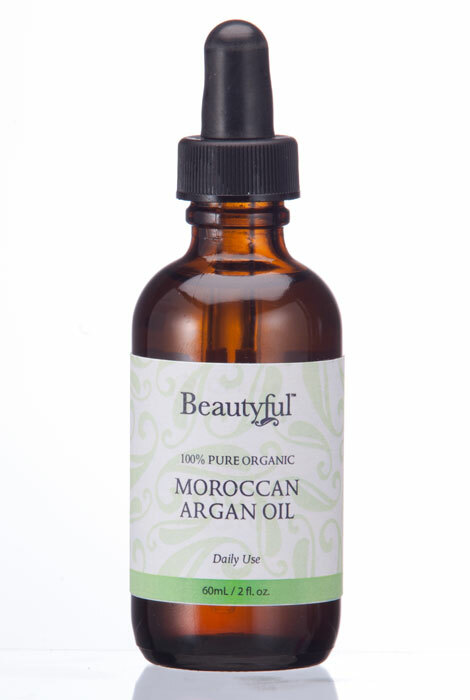 A rare ingredient used in Moroccan beauty rituals since ancient times, pure argan oil is prized for its beautiful benefits to hair, skin and nails. 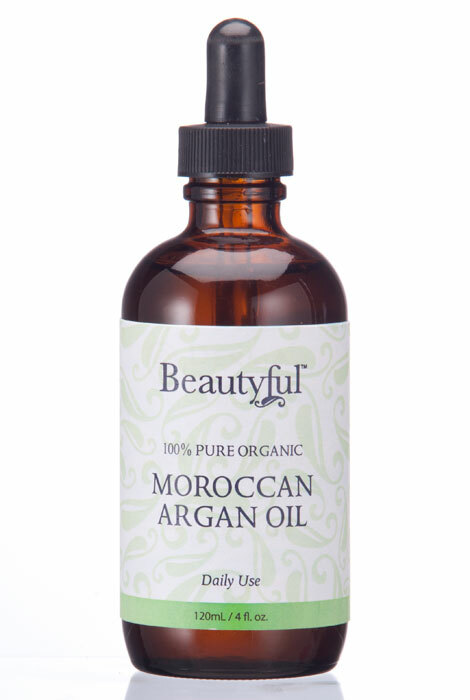 Often called "liquid gold," it's rich in protective nutrients including fatty acids and vitamin E. Beautyful™ 100% Pure Moroccan argan oil's moisturizing and softening properties make it the perfect secret weapon in your beauty arsenal. Use a few drops on the skin as a deeply hydrating moisturizer that fights aging and restores a youthful flow. As a hair conditioner, argan oil conditions, smoothes and helps your hair achieve sleek, shiny style. Its softening properties also make argan oil the perfect remedy for brittle nails, damaged hair and cracked skin. As with any rare oil, the source and quality matters. 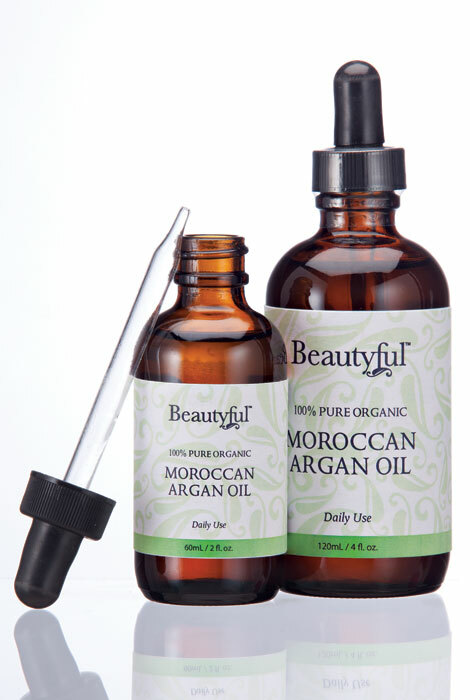 Beautyful™ 100% argan oil treatment is the best of the best, extracted from the kernels of the argan tree in southwestern Morocco. Try it and discover for yourself why generations of Moroccan women have depending on argan oil as their youthful beauty secret. For Skin: After cleansing, smooth a small amount of face, neck and body. For best results, use twice daily. For Hair: Apply to damp or dry hair. Style as usual. the order process was very simple and easy. The price was right and what can you say about Argan Oil? I love it! ð?? ?